"The 10 Best Contemporary Art Galleries In Iran"
Iran is currently facing a shift in both its artistic landscape and global presence. Artists within Iran are responding to political pressures resulting in a diverse and rapidly growing contemporary art scene. 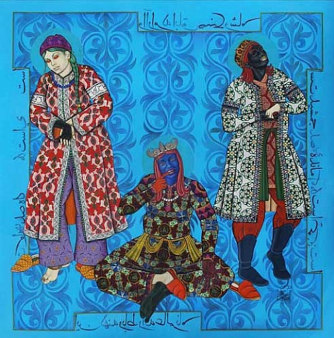 Iranian art has steadily become a strong international contender within the arts market and has stabilized its position within the contemporary art scene. 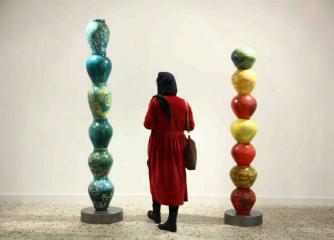 We profile ten of Iran’s top contemporary art galleries. 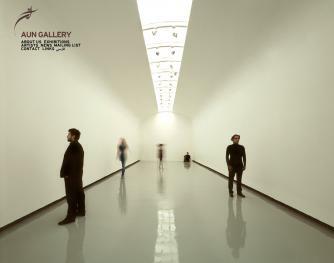 Aaran Art Gallery aims to create a forum for the promotion of Iranian artists, and contemporary Iranian art in general. The gallery is an established center that advocates cultural exchange between South West Asian, North African, and South East Asian Nations. Aaran Gallery pioneers Iranian contemporary art by avoiding mainstream processes and instead embraces interdisciplinary initiatives in different forms. 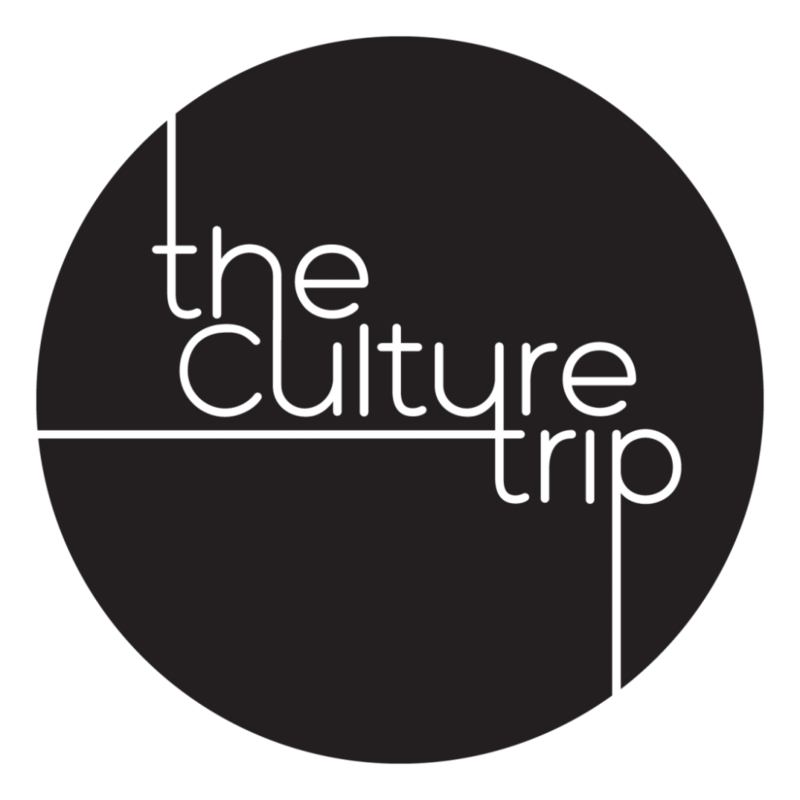 Interactive screenings, artist and expert talks, and presentations along with exhibitions ensure the gallery is prevalent in the production of Iran’s contemporary art scene. Founded in 2005, HOMA Art Gallery showcases the works of major cutting-edge artists, as well as works by up-and-coming Iranian artists. The gallery has shown some 150 exhibitions to date. Through a cooperation between art museums, foundations and galleries in Iran and abroad, Gallery Homa seeks to draw attention to and foster the talents of a new generation of Iranian artists. 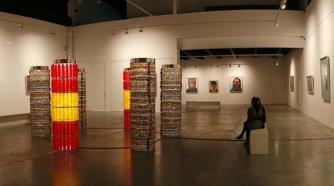 Aun Gallery, established in 2009, executes around ten solo shows a year. The gallery is renowned for its unique space consisting of a five-meter high ceiling and a panelled roof, which takes advantage of the natural light flooding in. The space compliments the contemporary art on display, in addition to creating a memorable viewing experience. The Gallery embraces a range of media, including painting, photography, sculpture, video, and installation art in order to promote young Iranian artists and support their contribution to Iran’s rich tradition in the arts and culture. As a painter, the director of Elahe Gallery felt compelled to open up a gallery in 1999 in order to provide exposure for Iranian art. The gallery’s ethos follows two principle concerns: to encourage awareness of existing professional painters, and to assist emerging artists. The gallery aligns itself with an aesthetic that merges modern art with Iranian original art, to produce the next generation of works. 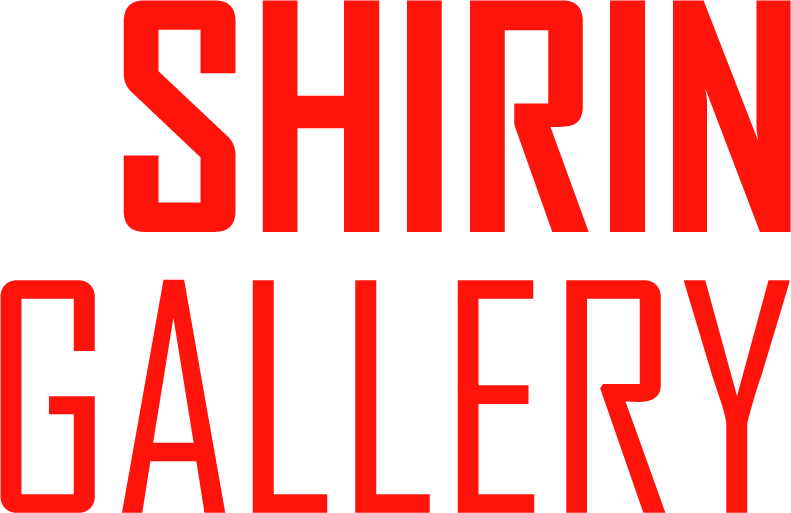 Etemad Gallery is a key space in the emerging contemporary art scene, priding themselves on exhibiting contemporary art which revolves around innovative techniques and aesthetic styles rooted in a political and global context. The gallery exhibits works addressing themes such as modernity, identity, femininity, and violence, and challenges the stereotypes of traditional Iran. 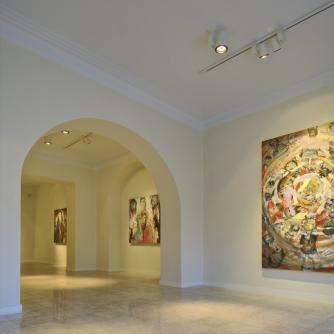 With another Etemad Gallery situated in Dubai, the geographical positioning of both galleries creates an artistic exchange between the two countries. 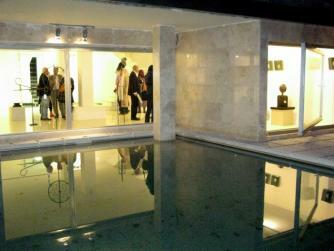 Seyhoun Art Gallery was founded in 1966 by painter Massoumeh Noushin Seyhoun. As one of the oldest galleries in Tehran, Seyhoun Art Gallery started out with the foresight and determination to withstand decades of societal and political transitions. The gallery houses an excess of 1,200 paintings, sculptures, photographic and graphic art works, alongside its current collection of conceptual art, video and digital art, and installation works. Seyhoun Art Gallery also contributes to the identity of Iranian art by holding official art fairs, participating in artistic policymaking and establishing relations with Western countries. 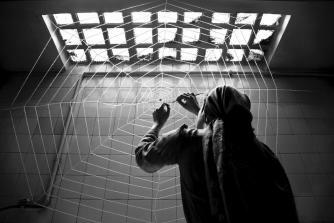 Silk Road Art Gallery is the first gallery solely devoted to celebrating the medium of photography within Iran. 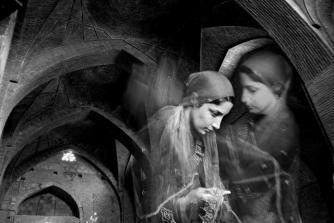 Since its opening in 2001, The Silk Road has exhibited renowned Iranian photographers such as Bahman Jalali andShadi Ghadirian. The gallery has assisted in the development of photography’s new direction in Iran by acting as an incubator for ideas, exchange, and activity within the discipline. This gallery in western Tehran is the only art space in the area. Although Siin is relatively new, owner and director Saideh Lotfi ran a gallery in the exact same spot from 1990 until 1998. 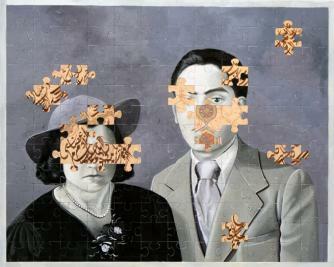 From 1998 through 2005, Lofti lived abroad but maintained her various art world contacts in Tehran. 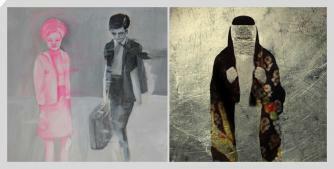 Many well known artists held solo and group exhibitions in this early gallery that she continues to represent, along with younger voices in the Iranian art scene. These artists engage in an array of disciplines in an exploration of the complex terrain of contemporary Iran. Assar Art Gallery has established itself as an integral part of Tehran’s cultural sphere by showcasing work from both emerging and established visual artists. Through its supportive sensibilities the gallery helps nurture new talent not only through its exhibitions, but by branching out and incorporating art consultants, advisors, and art dealers into the gallery mix, all dedicated to finding, training and sponsoring raw talent in fields of collecting, curating and art dealing. Assar Art Gallery has strengthened Iran’s artistic presence in a global context. The gallery provides a supportive platform for artists and has played a significant role in bringing contemporary Iranian art to the world’s attention. Shirin Art Gallery is comprised of two exhibition spaces: one which holds a permanent collection, and the other that houses bi-weekly exhibitions for upcoming Iranian artists. The rapidly-changing content within this second exhibition space ensures that the gallery’s exhibitions are current and culturally relevant, whilst exposing as many emerging artists as possible. The gallery focuses mainly on contemporary paintings, sculptures and photography, and the works are for sale at reasonable prices.